Relive Henry Knox's epic feat as he prepared to move massive cannon from Ticonderoga to Boston to force the British evacuation in 1776. 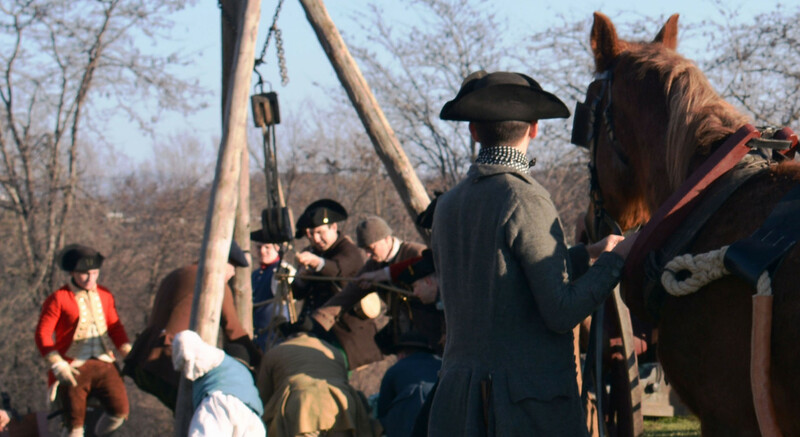 Watch as soldiers work as carpenters to maintain Ticonderoga. Witness the raw power of oxen and horses as these thousand pound animals pull sleds of cannon tubes. Examine the science of gunnery, preserved in Fort Ticonderoga’s massive cannon collection. Listen to the stirring tunes of martial music during a Fife and Drum Corps performance. Tour through Fort Ticonderoga and learn more about our museum exhibits and daily demonstrations as you step into the first year of the Revolutionary War. Visit historic trades shops to discover daily routines for men and women at this strategic fortification in 1775. For the full event schedule, and to learn more about the event, call 518-585-2821.